Rajkot: Around 100 persons were evacuated from Daliya village of Gondal taluka in Rajkot district after low-lying areas of the village were flooded following very heavy rain. Local administration has made arrangement of food packets for those relocated. The city of Rajkot received rains since morning today. By late evening, river Aaji could be seen flowing in its richness. 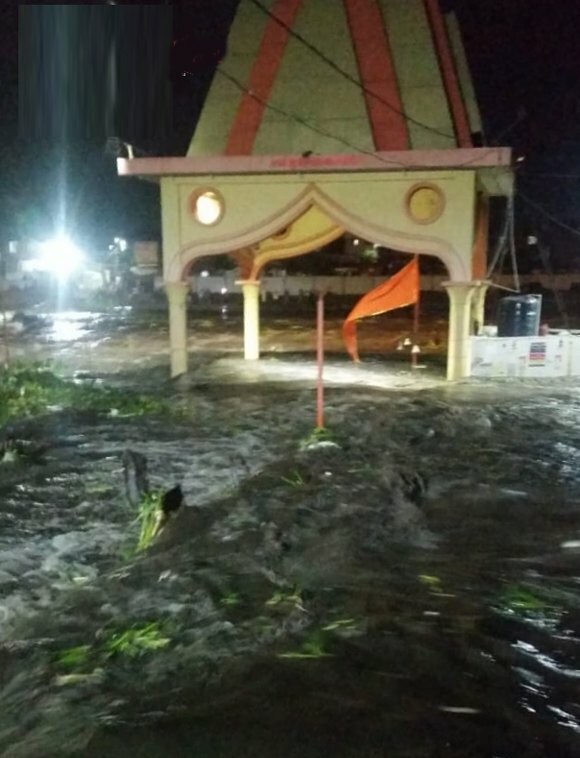 Ramnath temple received waters. Hundreds of citizens were seen gathered to have glimpse of Ramnath temple in water. Thanks to fresh inflow, Nyari – 1 dam had fresh income of water. One child died of drowning in Lodhika due to sudden arrival of flooding water in field. Two persons were saved in this incident. One youth died near Bhesan in Junagadh district after Uben river waters swept him away with his bike. One person was saved in this incident. In Shapar-Veraval area of Rajkot district, 150 slum units were in water due to heavy rains. 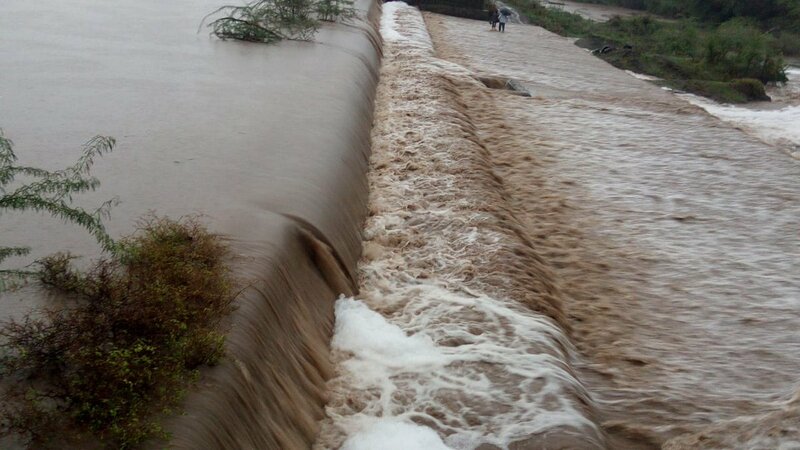 Motisar dam was seen overflowing due to fresh inflow thanks to around 7 inch rain at Patiyali in Gondal taluka. A road connecting Patiyali to Rajkot suffered damages due to force of flowing water. Heavy rain was reported in Jasdan, Kotda Sangani and other places of Rajkot district.